The 26th annual Mayfest takes place May 10-11, 2019 in Guin. 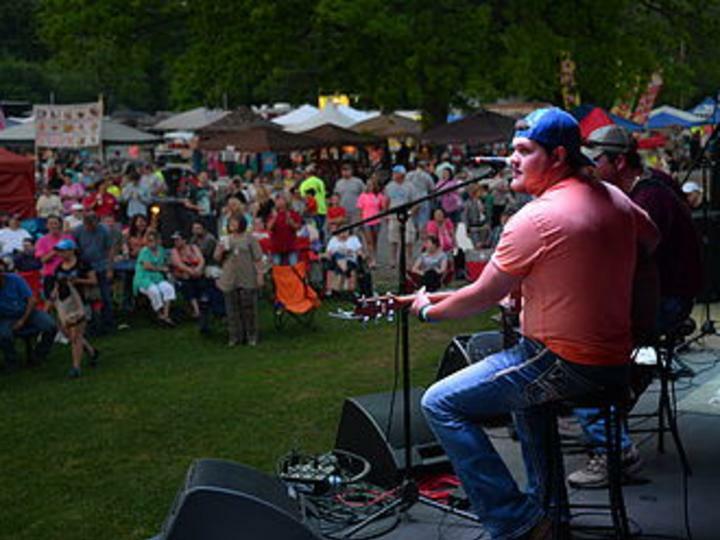 Decatur, Ala. – The popular Mayfest transforms downtown Guin into a venue for free family fun, attracting thousands of visitors to the North Alabama community. The theme for this year’s event is Mayfest Salutes the Military and for two days, festivalgoers are treated to live music, carnival rides and games, a dog show, a 5K race and plenty of good food. Set for May 10-11, 2019, the annual event is hosted by the City of Guin. On Friday, May 10th, gates open at 5:30 p.m. and the music lineup features the Bells of Franklin, a World War II tribute group and headliner The Springs, an award winning band that belts out a variety of music. The Mayfest 5K Run hits the street Saturday morning in front of Guin City Hall. Activities lined up for the day beginning at 8 a.m. until 3 p.m. include a dog show, carnival rides, games, concessions and more live music. Two former members of the Alabama football team will be on hand signing autographs. The entertainment stage will offer a variety of music from local acts keeping festivalgoers entertained throughout the day. Mayfest takes place at 7500 US Highway 43 in downtown Guin. Admission is free. For more information, call Guin City Hall at 205.468.2242.